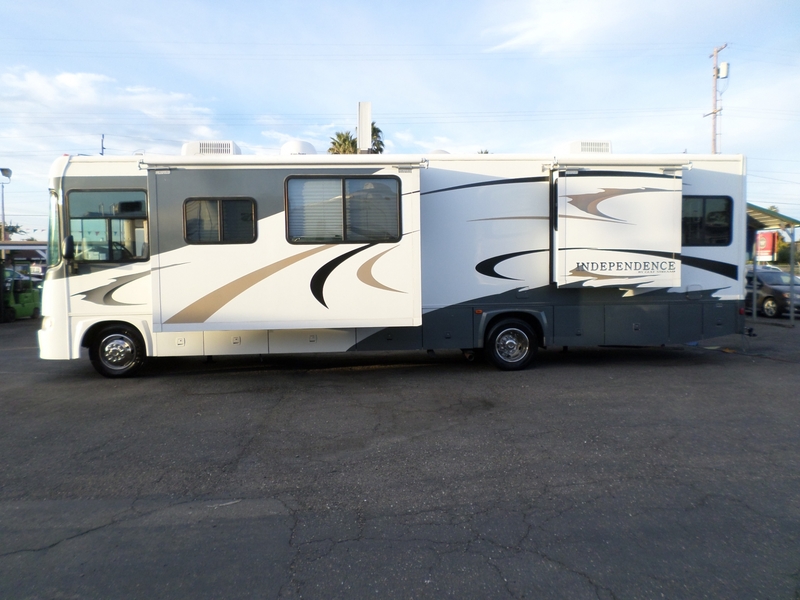 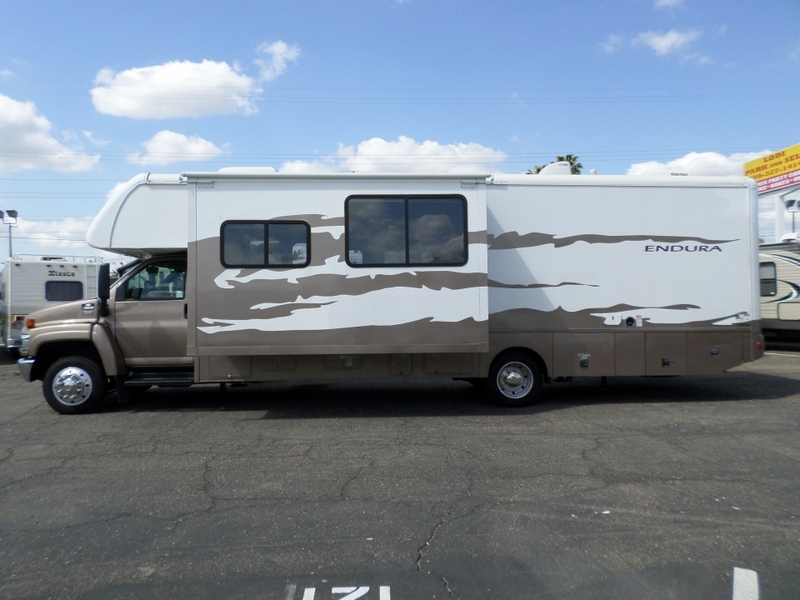 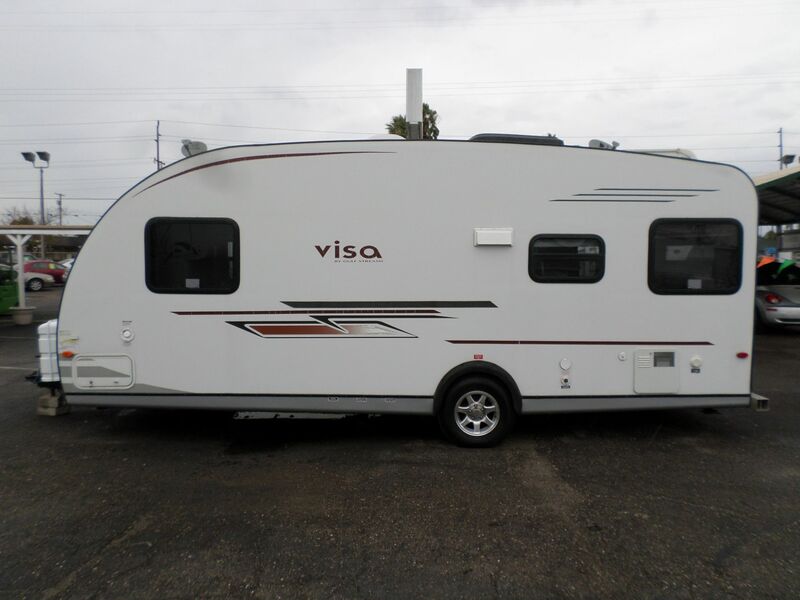 2006 Gulf Stream Independence Class A Motorhome 35' . 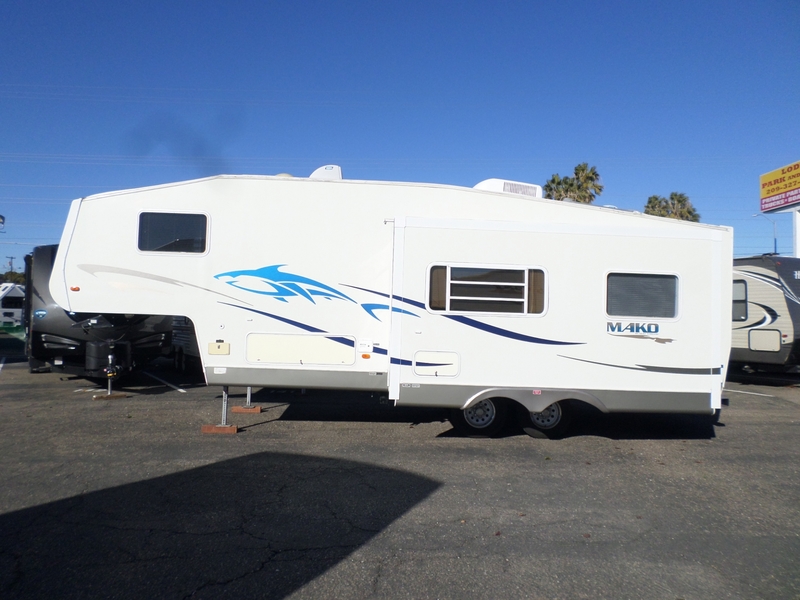 . .
One owner, extra clean, 3 slides, rear master queen private walk-around bedroom, stand up glass shower, central heating and air, 5500 watt Onan generator, leather captains chairs, heated mirrors, sofa/dinette sleeper combo, Corian counter top, non-smoker, no pets, slide toppers, front entertainment center, and much more. 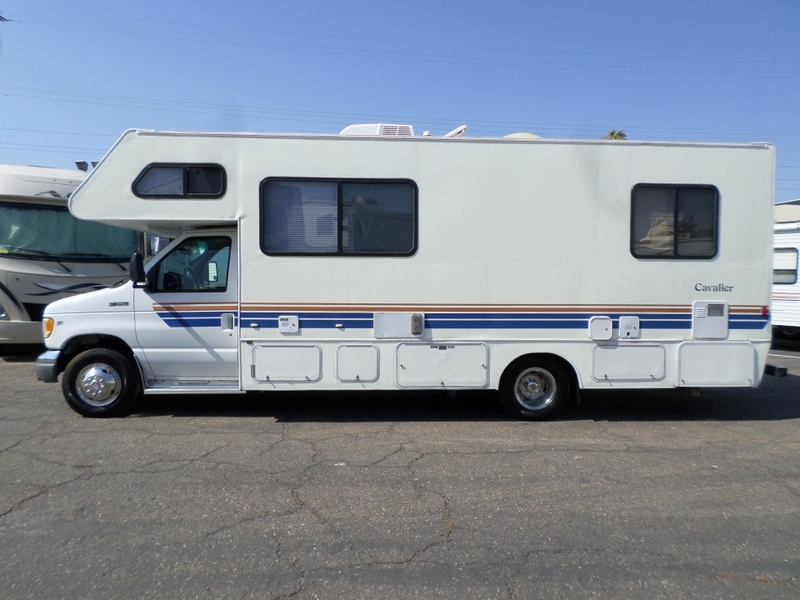 Comes with Hydroboost braking system and tow bar included.